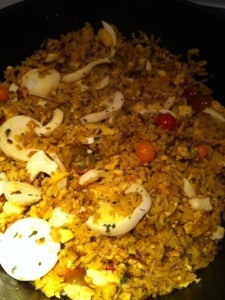 So I read on-line that the first meal in the opening scenes of season 1 of Downton Abbey is a breakfast of Kedgeree. 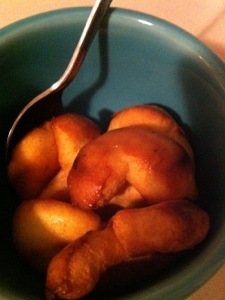 Not traditionally a veggie meal, BUT, that doesn’t tend to stop me when it comes to my love of British food. 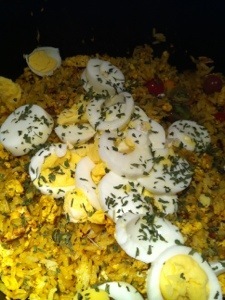 Trusting my ever faithful Jamie O. I tweaked and twisted his recipe to become a veggie Kedgeree that would make Carson proud. 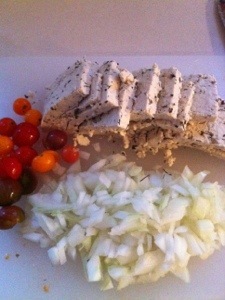 1 white onion, a handful of cherry tomatoes, and I used garlic infused tofu instead of mackerel. 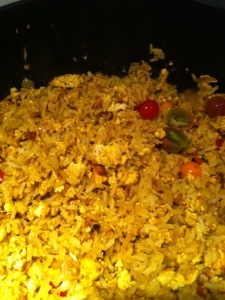 You see there that I sliced the tofu more than chopped it because I wanted it to flake more like fish. 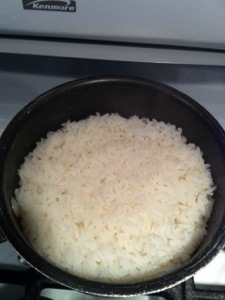 I cooked my white jasmine rice -4 servings. 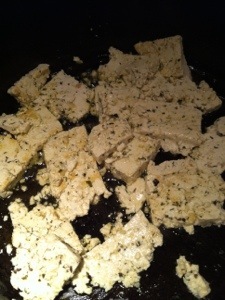 While my tofu and onion got a little brown and crispy in two tablespoons of olive oil. 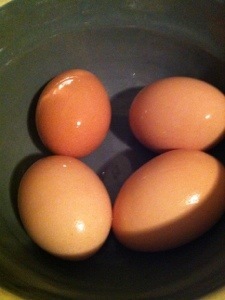 I got out the hard boiled 4 eggs I had prepared earlier in the day. John doesn’t care for soft boiled and though those seem to be more traditional, we went with hard boiled because a happy husband is a happy thing. 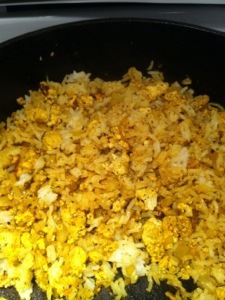 I added the rice to the tofu and onion, then the spices to the mix: 2 tsp curry, 1 tsp turmeric, a shake or two of pepper. 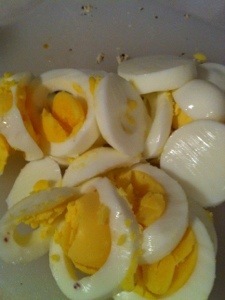 Because my eggs where hard, I chopped them up. I halved the tomatoes and added them to the pan (which was now cooking on low heat). Oh, and don’t forget the “scatter” of parsley when you add the eggs next! 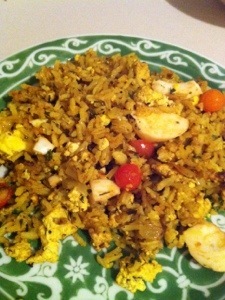 I stirred it all up into one giant, yummy, yellow breakfast for dinner. This is a seriously hearty meal in disguise, so be ready! 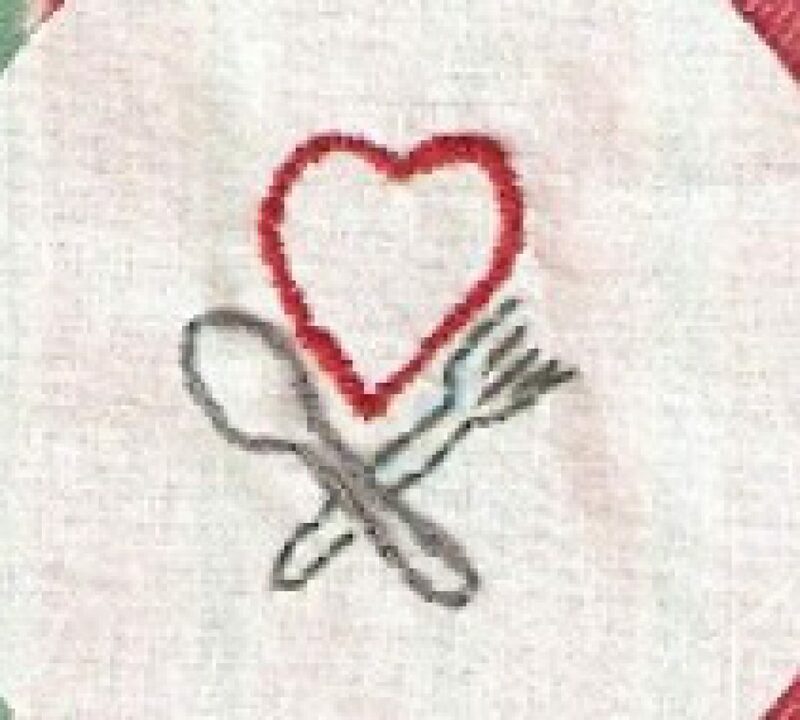 You’ll want to eat a few helpings, but the heartiness will win in the end. 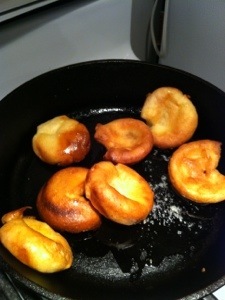 We also had the last of my Yorkshire puddings from the freezer reheated in oil and butter in a skillet. That worked out so much better than the microwave! 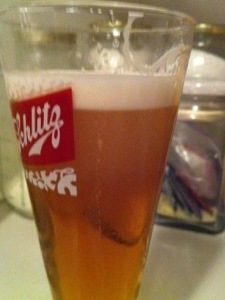 And I had a new-to-me British ale that was left at our house by a friend. 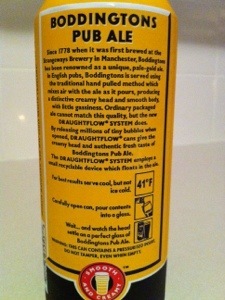 I have never seen so many instructions on a beer can. They were worth it . 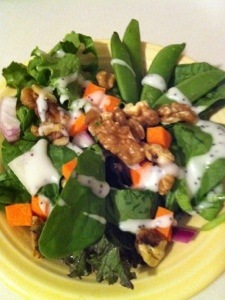 See, when I blog first thing in the morning it just makes me not want to go into work and cook the meal all over again. 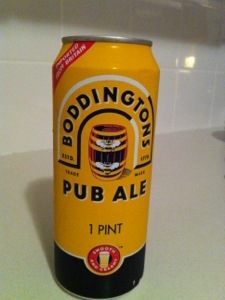 Alas, someone had to pay the grocery bills.